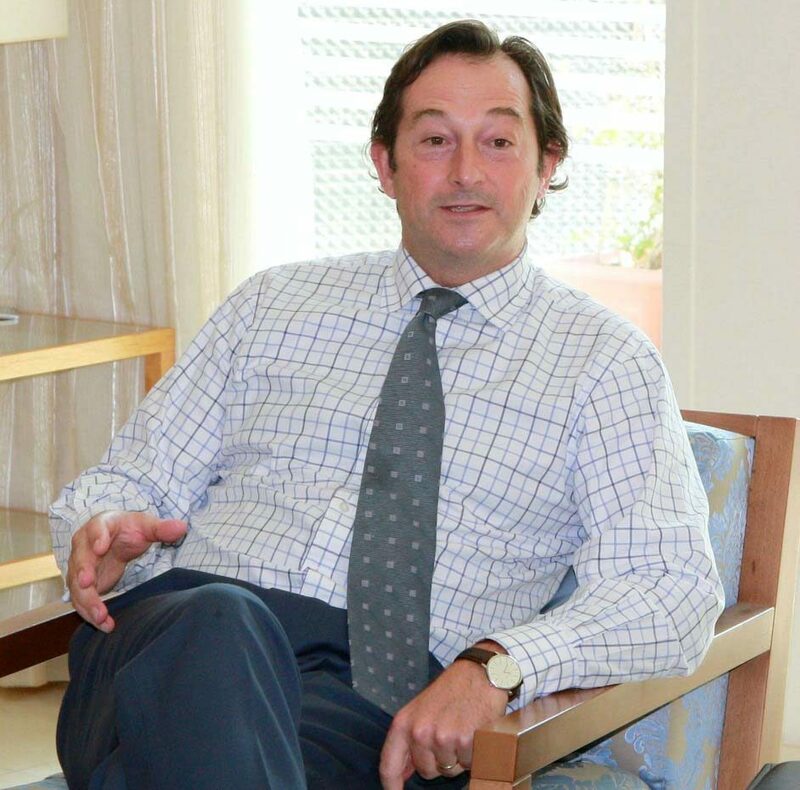 After just over two years in the country, the British Ambassador to Qatar Nicholas Hopton has confirmed he will be leaving this week to take on a new, undisclosed diplomatic posting. Speaking at a media roundtable today, Hopton admitted his 26-month tenure, which included boosting Qatari tourism to the UK, was shorter than expected. “Usually ambassadors are posted for three to four years,” he said. 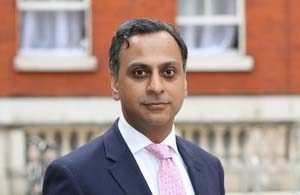 Hopton will be replaced by Ajay Sharma, who is currently charge d’affaires to Iran. Sharma, who moves to Qatar next month, played a role in the recent Iran nuclear negotiations and was involved in the reopening of the British Embassy in Tehran in August, Hopton said. That embassy had been closed for four years after protestors stormed it during a demonstration about sanctions. Iran also reopened its embassy in London. Sharma had also served as non-resident Charge d’affaires to Iran and head of the British Foreign and Commonwealth Office’s (FCO) Iran Department. He has had previous diplomatic postings in Paris, Ankara and Moscow, according to a statement on the FCO’s website. According to Hopton, one of the main challenges he will be handing over to Sharma will be helping Qatar stage the World Cup in 2022. In addition to the logistics of creating the infrastructure to host the tournament, which British companies are involved with, the ambassador will also be tasked with managing reaction to the event, both here and abroad. 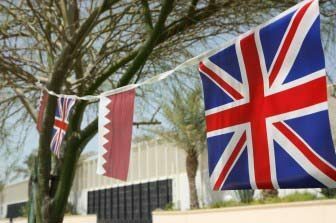 Last year for example, Hopton issued a statement to all Arabic-language newspapers in Qatar stressing the independence of the UK media, and making clear that the British government has no influence over what it publishes. The move followed complaints from locals about “racist” coverage of Qatar’s hosting of the World Cup. Today, Hopton reiterated his country’s backing of the tournament. “I am very confident that Qatar will deliver a successful World Cup and the British government fully supports Qatar in its work preparing for it. One of the challenges is trying to explain to other people in the world, who don’t know this region, that this is absolutely possible,” Hopton said. Sharma will also be focused on helping implement what Hopton described as Britain’s “new Gulf strategy, to lift the partnership between the UK and GCC countries to a new level,” although no concrete details on what this would include were given. During a visit to Qatar last week, British Minister of State for Defense Procurement Philip Dunne told the Peninsula that the “threat environment is changing with new problems emerging in the region,” and added that the rise of the Islamic State (ISIL) was of particular concern. And last year, the UK Foreign Secretary said that the first British permanent military base in four decades would be set up in Bahrain. The new facility is to be a Royal Navy base, which can facilitate larger vessels such as destroyers and aircraft carriers. On another defense issue, Hopton said that he was “hopeful” his successor could continue and bring to fruition long-ongoing talks between the UK and Qatar to buy the Typhoon Eurofighter. Deals for the combat jet, which is jointly made by UK, Germany, Italy and Spain, have already been made with other Gulf states, including Saudi Arabia, which signed a £4.4 billion (US $6.8 billion) deal in 2007 to supply 72 Typhoons, according to Defense News. Shortly after taking office, Hopton had said that he hoped that Qatar would place an order for Typhoons. “I am very hopeful that at some point in the future the government of Qatar will decide to purchase Typhoon, which is the right aircraft for this country to defend its borders and to ensure it will operate efficiently in responding to crises in the region such as Syria and Yemen. Another challenge that Sharma will have to grapple with is the continued crunch on school places for families moving to Qatar. “I am very conscious there aren’t enough places for people who want to send their children to school,” Hopton said, adding that the embassy was in ongoing talks with the Supreme Education Council and education minister about the situation. “There are 12 British curriculum schools in Qatar, and I understand there are plans to open more new schools, particularly in Lusail. 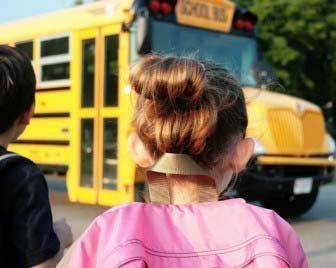 I hope some will be British schools,” he said. When asked about Russia’s decision to start airstrikes in Syria last week, Hopton said that the UK has “concerns” about the move. “(This) will make finding a solution (in Syria) more complicated, not easier and more people will die. The Russians need to make their position very clear. They need to explain what they are doing with their assets in Syria and why,” he said. Echoing the statement the UK, Qatar and other countries issued over the weekend, he added that the recent air strikes appear to be targeting supporters of President Bashar Al Assad’s regime, contrary to the Russian government’s claims that they were supporting the US’s efforts to tackle groups like ISIS. “With the Americans and French, we are engaging with Russians and talking to get clarity on their intentions,” Hopton added. “It is important that Iran plays a responsible, constructive role helping to restore crises including in Iraq and Syria. The British government is prioritizing this,” he said.